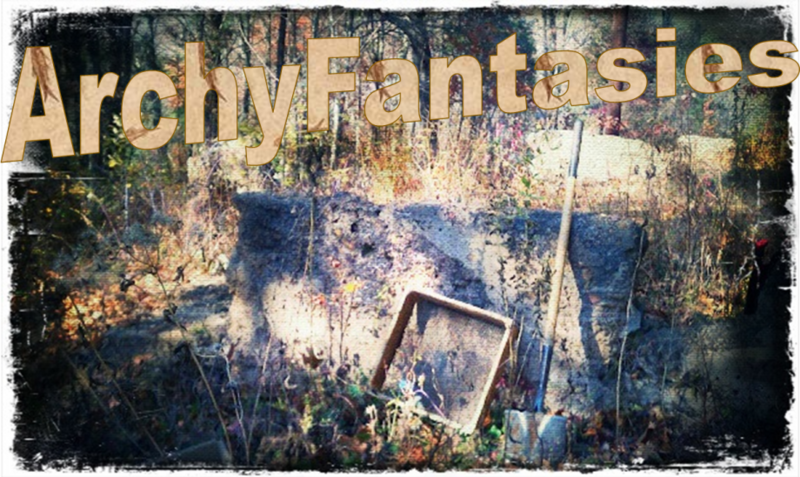 Archyfantasies is creating Debunking Pseudo and Bad Archaeology. So what will your donation do you ask? If you're here, you probably are already aware of my goals of trying to raise awareness of bad archaeology and pseudo-archaeology. Countering bad claims is not only something I feel strongly about but something I enjoy doing. However, each blog post takes hours, if not days, of time and the same can be said of the podcast. So getting a little compensation for that time would be awesome. That said there are numerous things I'd like to improve too. I'd love to have an editor for the blog as well as hire a full time editor for the podcasts. I'd also like to take my blog on the road and start attending professional archaeology conferences with the goal of advocating the professional field to do more plain talk outreach and debunking of their own. Lastly, I'd like to do more of my own public outreach in the form of lectures, classes, and presentations with the goal of teaching the public one-on-one how to spot bad claims and counter them with critical thinking. All of this takes funding, and even a little gets me further than nothing. So thank you in advance for your help. You not only get a better blog and podcast, but you help educate the public at large on our favorite topic of archaeology. At this level, I'll be adding your name to my Donor Page on the blog, unless you don't want your name listed (let me know). Thanks for your donation, you're an awesome person! As above, I'll be adding your name to my Donor Page on the blog, unless you don't want your name listed (let me know). We've got a lovely batch of stickers to send out, and with tier you get them! Show your support for the show with shiny die cut stickers and spread the love! You'll see we started a new goal, the Pseudoarchaeology Curiosity Tour! We're going to start off in good old PA and work our way around, as funding allows, to look into the world of Archaeology and Pseudoarchaeology. I'll be reporting on what I learn, see, and experience, and share it with you via the blog and podcast. So if you think you're ready for a first-hand experience in the fun world real life Pseudoarchaeology, donate today!